One year ago, we were waking up every 3-4 hours with a newborn baby in the house. One week ago, we were jumping off the deck attached to our overwater bungalow in Bora Bora while grandparents were watching our one year old. Believe it or not, situation one was integral in enabling situation two to happen. Jess and I spent a week in Bora Bora over President’s week – here’s how we made it happen. 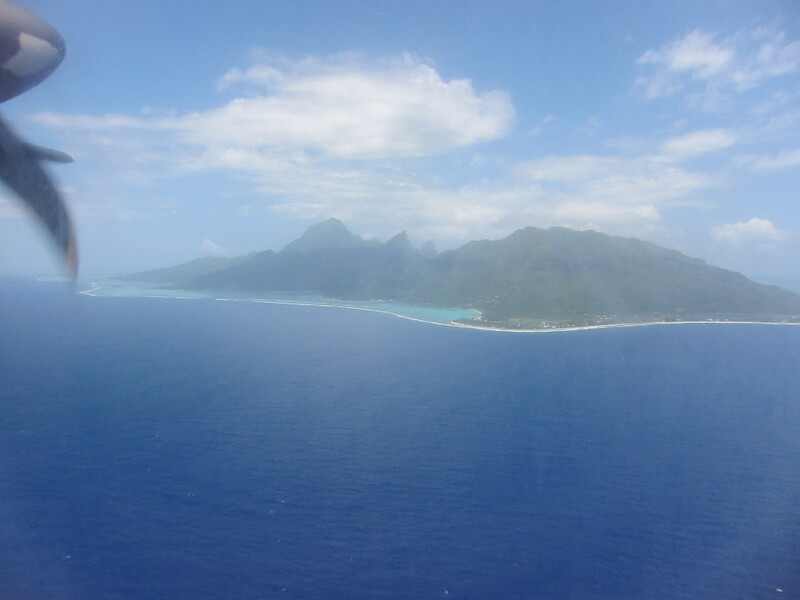 One of the toughest aspects of getting to Tahiti is the flight. There is only one major international airport, Papeete, which is on the island of Tahiti itself (which is a great place to visit but not the “quintessential” island experience). There are only a few airlines that fly there and thus there are only a few international flights into Tahiti per day. Over the next two months, the cheapest round trip economy flights I was able to find from Boston were about $1600 and the most expensive were around $2100. Business class flights ranged from $5000 to $8000. As I outlined in my guide to using AA miles for Tahiti, economy award space is generally easy to come by if you plan far enough advance, while there are generally only 2 business class award seats made available 11 months out and once they’re gone they’re gone. In our delirium and exhaustion, my wife and I decided even though the product was not that great, we would go to Tahiti in business class or bust. Thus, I was up at 5 AM EST every morning waiting for the schedule to open up. When it finally opened up for the day we wanted to travel (331 days in advance), I called and put the award on hold immediately. I booked our roundtrip ticket as two one-ways because you don’t get any major benefits on AA for booking roundtrip award tickets – at least not any benefits worth losing the award space. We ended up being able to route all the way from Boston through LAX to Papeete, though the domestic routing was a little bit crazy. 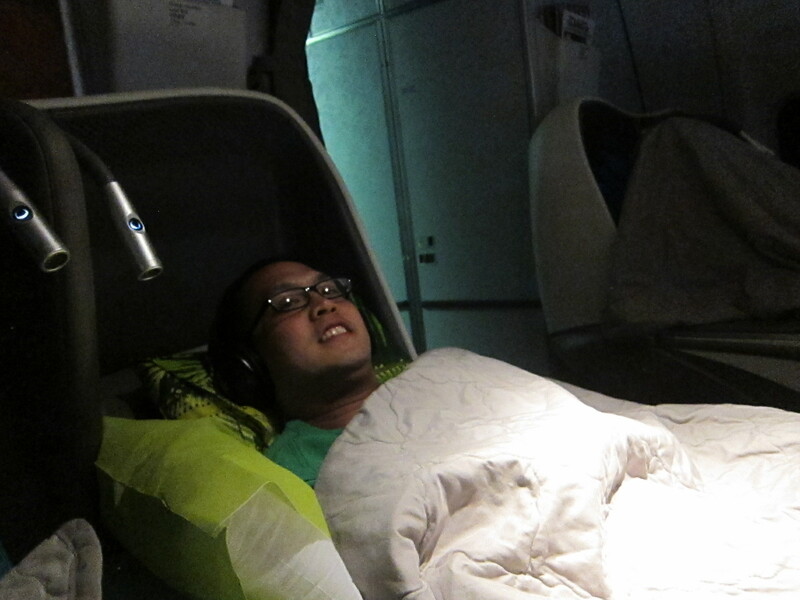 Overall, the seats cost us 125,000 miles roundtrip each to fly to Tahiti in business class. A couple of notes: American Airlines doesn’t fly to Papeete (like I said, almost nobody does). 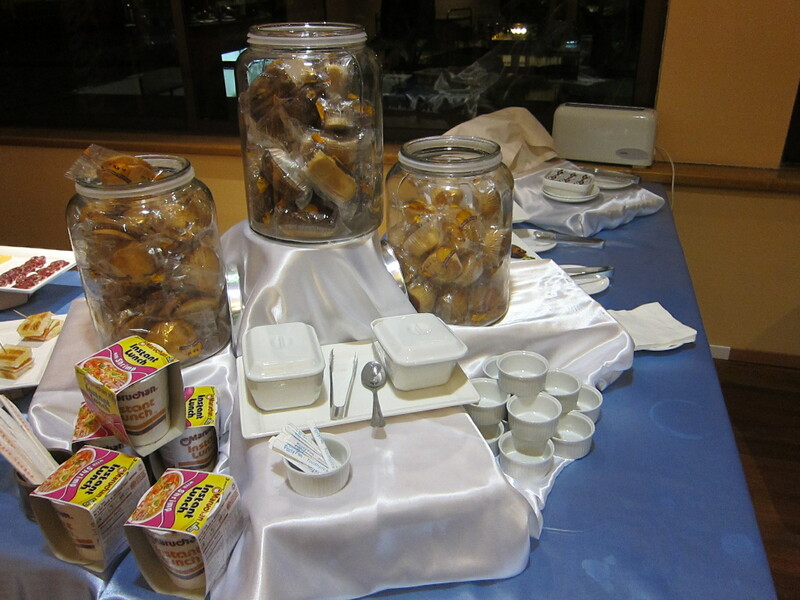 However, they are partners with Air Tahiti Nui, the airline with the most flights in and out of Papeete. So the international business class seats we booked were on Air Tahiti Nui, not American, but we used AAdvantage miles to book them. You could also do the same thing with Delta miles. Assuming the flights in business class would have cost at least $5000, we got around 3.8 cents of value per mile we used (that’s also factoring in the miles we gave up by not paying cash tickets). Of course, we never would have paid $5000 in cash, but we still got over 1 cent per mile in value compared to the price of an economy ticket. Works for me! Once you get to Papeete, if your like most, you’ll probably want to connect to another island at some point. The intra-island carrier in French Polynesia is Air Tahiti (not to be confused with Air Tahiti Nui). There is no way to redeem Mike’s for these flights but you can use a fixed value points card like the Barclays Arrival Card to offset the costs. For example, if you received the 40,000 Arrival miles bonus, that is worth $400 towards travel which would cover the cost of the ticket! For some reason I had a brain fart so I forgot to use my miles – guess I’ll have to save them for later! Originally, I had booked 3 nights at the Intercontinental Thalasso Resort and Spa for 150,000 IHG points and a 4 night AXON award at Hilton Bora Bora Nui for 145,000 HHonors points. Generally with these award bookings you are booked into a landlocked room and you need to pay an upcharge to stay in an overwater bungalow. Something wonderful happened one month before our trip though! The Intercontinental Thalasso’s overwater bungalows are out of this world – and currently don’t require a surcharge even when booking reward nights! The Intercontinental Thalasso began allowing awards to book directly into an overwater bungalow – for the same price. In fact they had already upgraded my reservation when I found out. So I decided to cancel the award at Hilton Bora Bora Nui – even though it was a great deal, I didn’t want to pay $200/night to upgrade. Instead, I used 200,000 points to book 4 nights at the IC Thalasso and I bought enough points for another 2 nights for $350 each. The Emerald Overwater bungalows we stayed in were retailing for over $1000 a night the week we were there! In the end we paid $700 for six nights – what a deal! (We actually shortened our trip from seven nights to six due to baby related reasons, more on that in another post). 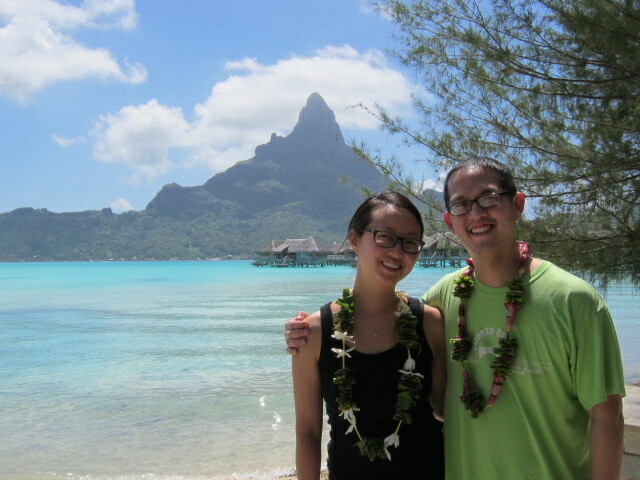 After that, the rest of our expenses were just on activities and food – which in Bora Bora are super expensive! But I’ll point out how to ameliorate some of those costs later in the trip report if you’re interested. Spoiler alert – bring Ramen – preferably from lounges if you can! 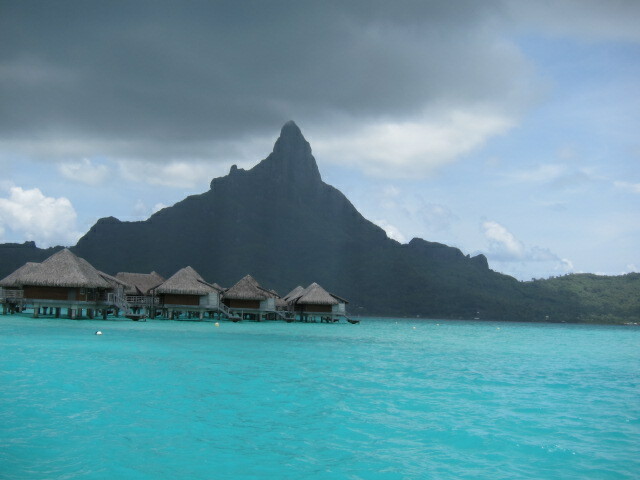 When we were sleep deprived and delirious, Bora Bora was just a pipe dream. I need to give a shout out to Daraius over at Million Mile Secrets – his 2nd Honeymoon in Paradise trip report was an inspiration for this trip. When I first sent that trip report to my wife she said, “That’s crazy, we’d never be able to do that.” But I’m happy to say that we did, and it was one of our most relaxing and memorable vacations ever. Since trip reports to Bora Bora are tough to find, I’m going to try to be a little more detailed in this one than I usually am. Hope you enjoy reading it, and stay tuned! Thanks for the write up…I look forward to your other posts! As a new FF mile hound, I appreciate what you have been able to do. Thanks for the inspiration! did anybody tell you both of you look alike ? I’ve been following your posts on your Bora Bora trip with interest as I would like to plan a simliar trip with my wife. When you talked about watching for award availability to open up, I’m assuming you booked the outbound flight as soon as you saw it open up; however, what did you do about the return flight? Just curious what happens when you book the outbound, but you don’t get return availability that works for your trip. Or am I missing something in how you’re booking these flights? @Slomo63 – since I was booking with AA miles, there’s no real advantage to booking roundtrip tickets. So I just booked the return as soon as that opened up as well, and I had two one way tickets instead of one roundtrip. The only drawback is if I had cancelled the fees would have been higher, but that was a risk I was willing to take. I was pretty confident a return would open up, as long as you are on top of things and you are flexible by a day or two you should be fine. Like the entire week 331 days from now has business class space except for only one day. If you are booking the same space with Delta though, you’d have to wait for the space to be open both ways before you book. Hope that helps and feel free to ask more clarifying questions if necessary!